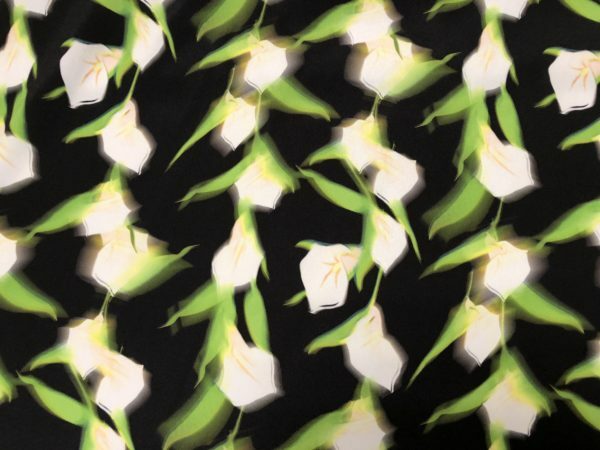 100% polyester Crepe de Chine with a Floral Print in an electric Green, White and Yellow pattern, standing out on a Black background. Light weight (3 ounces), semi sheer with 2-Way Stretch. 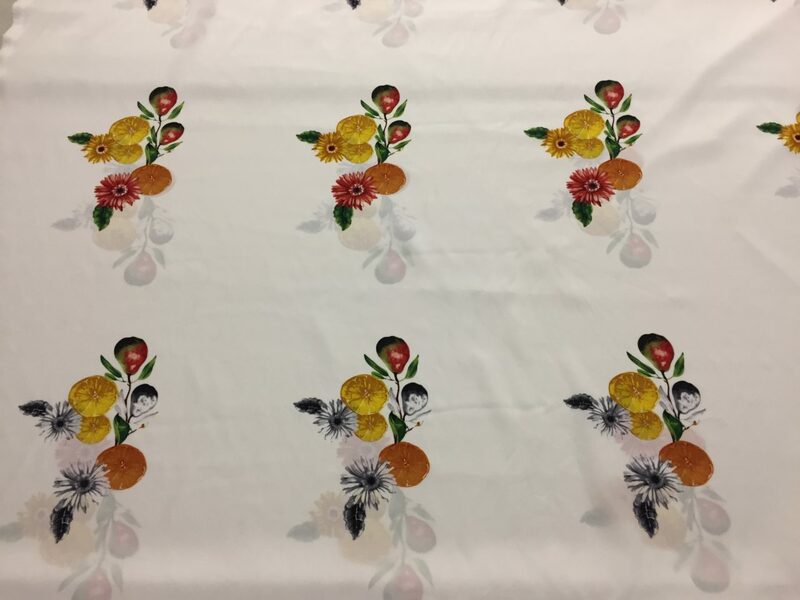 Use this as you would any silk crepe, charmeuse, light weight cotton, georgette/chiffon or voile, 60″ wide. 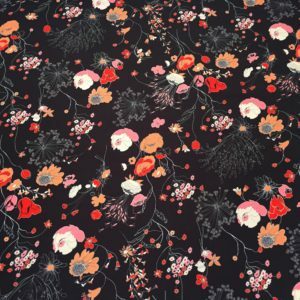 People love this weight for a dress, skirt, blouse/shirt, top or even lining.